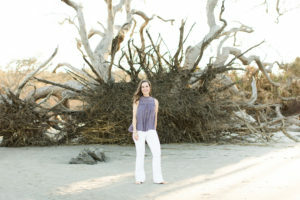 Leslie DeVooght writes contemporary romance set on St. Simons Island, Georgia, her hometown. Leslie’s flash fiction stories, Croquet Kiss and Waterford Crystal Daydream were published in the August and November editions of Spark magazine, a Splickety Imprint. This spring Leslie’s short, short story, Avoiding the Bouquet, was published in The 2018 Writer’s Digest anthology. Recently, Leslie placed in the top ten for the Writer’s Digest Short, Short Story Contest. In 2017, Leslie was awarded first place for overall fiction and first place for romance fiction at the Florida Writer’s Conference and second place for romance fiction at the Blue Ridge Writers Conference for a contemporary romance novel. She is a 2017 ACFW Genesis Semi-finalist for Contemporary Romance and a 2018 ACFW First Impressions Finalist. 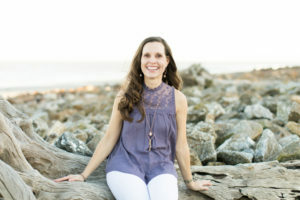 Leslie placed first in the Write-to-Publish contest for Contemporary Fiction, and at the Ohio Christian Writers Conference, she placed second for Secrets and Love at the Olive Orchard. Leslie loves cheering on her three children in their activities and date nights with her inspiring husband, who loves that she researches kissing. Keep up with Leslie on Facebook at Leslie Kirby DeVooght and on Twitter @LeslieDeVooght and Instagram @LeslieDeVooght. She is also a frequent contributor to The Resident Community Newspaper in Jacksonville, Florida. Leslie is the Director of Women’s Ministries at Southside United Methodist Church in Jacksonville, Florida. Leslie is represented by Bob Hostetler of the Steve Laube Literary Agency.